This is the second in a series of three posters that explain the practicalities of using building blocks. 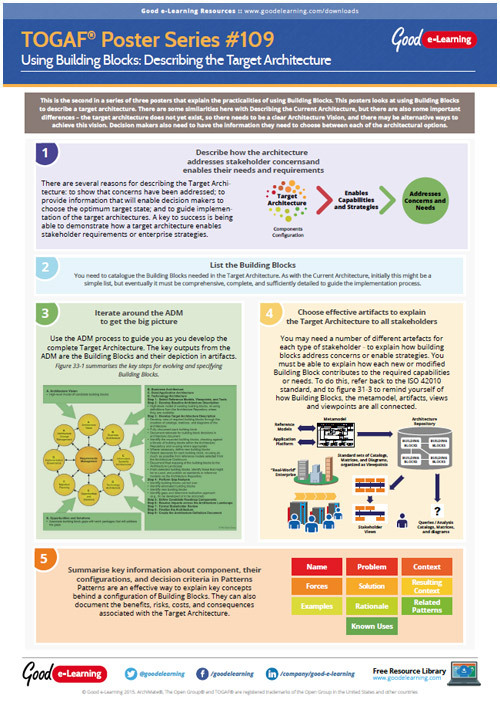 This poster looks at using building blocks to describe a target architecture. There are some similarities here with describing the current architecture, but there are also some important differences - the target architecture does not yet exist, so there needs to be a clear architecture vision, and there may be alternative ways to achieve this vision. Decision makers also need to have the information they need to choose between each of the architectural options.